Read this on JamesClear.comThe ultimate productivity hack is saying no. The same philosophy applies in other areas of life. For example, there is no meeting that goes faster than not having a meeting at all. This is not to say you should never attend another meeting, but the truth is that we say yes to many things we don’t actually want to do. There are many meetings held that don’t need to be held. There is a lot of code written that could be deleted. It’s worth asking if things are necessary. Many of them are not, and a simple “no” will be more productive than whatever work the most efficient person can muster. But if the benefits of saying no are so obvious, then why do we say yes so often? Saying no to these people can be particularly difficult because we like them and want to support them. (Not to mention, we often need their help too.) Collaborating with others is an important element of life. The thought of straining the relationship outweighs the commitment of our time and energy. For this reason, it can be helpful to be gracious in your response. Do whatever favors you can, and be warm-hearted and direct when you have to say no. But even after we have accounted for these social considerations, many of us still seem to do a poor job of managing the tradeoff between yes and no. We find ourselves over-committed to things that don’t meaningfully improve or support those around us, and certainly don’t improve our own lives. Perhaps one issue is how we think about the meaning of yes and no. The words “yes” and “no” get used in comparison to each other so often that it feels like they carry equal weight in conversation. In reality, they are not just opposite in meaning, but of entirely different magnitudes in commitment. When you say no, you are only saying no to one option. When you say yes, you are saying no to every other option. I like how the economist Tim Harford put it, “Every time we say yes to a request, we are also saying no to anything else we might accomplish with the time.”  Once you have committed to something, you have already decided how that future block of time will be spent. In other words, saying no saves you time in the future. Saying yes costs you time in the future. No is a form of time credit. You retain the ability to spend your future time however you want. Yes is a form of time debt. You have to pay back your commitment at some point. No is a decision. Yes is a responsibility. Saying no is sometimes seen as a luxury that only those in power can afford. And it is true: turning down opportunities is easier when you can fall back on the safety net provided by power, money, and authority. But it is also true that saying no is not merely a privilege reserved for the successful among us. It is also a strategy that can help you become successful. There is an important balance to strike here. Saying no doesn’t mean you’ll never do anything interesting or innovative or spontaneous. It just means that you say yes in a focused way. Once you have knocked out the distractions, it can make sense to say yes to any opportunity that could potentially move you in the right direction. You may have to try many things to discover what works and what you enjoy. This period of exploration can be particularly important at the beginning of a project, job, or career. Over time, as you continue to improve and succeed, your strategy needs to change. The opportunity cost of your time increases as you become more successful. At first, you just eliminate the obvious distractions and explore the rest. As your skills improve and you learn to separate what works from what doesn’t, you have to continually increase your threshold for saying yes. You still need to say no to distractions, but you also need to learn to say no to opportunities that were previously good uses of time, so you can make space for great uses of time. It’s a good problem to have, but it can be a tough skill to master. In other words, you have to upgrade your “no’s” over time. The general trend seems to be something like this: If you can learn to say no to bad distractions, then eventually you’ll earn the right to say no to good opportunities. Most of us are probably too quick to say yes and too slow to say no. It’s worth asking yourself where you fall on that spectrum. If an opportunity is exciting enough to drop whatever you’re doing right now, then it’s a yes. If it’s not, then perhaps you should think twice. What is true about health is also true about productivity: an ounce of prevention is worth a pound of cure. More effort is wasted doing things that don’t matter than is wasted doing things inefficiently. And if that is the case, elimination is a more useful skill than optimization. Even worse, people will occasionally fight to do things that waste time. “Why can’t you just come to the meeting? We have it every week.” Just because it is scheduled weekly doesn’t mean it is necessary weekly. You don’t have to agree to something just because it exists. This is similar to Shane Parrish’s rule of thumb for meetings: “If you wouldn’t do it right now, say no.” A similar philosophy could be extended to many areas of life. The U.S. Department of Labor (DOL) has awarded $6 million to SAI and our partner organizations, Partners of the Americas (Partners) and J.E. Austin Associates (JAA), for our project to address child labor, forced labor, and working conditions in the Latin American palm oil industry. 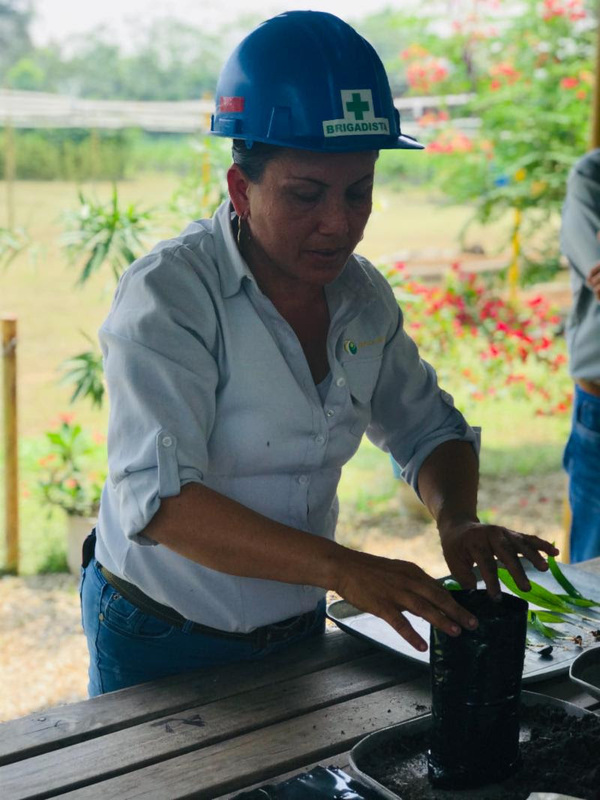 Over the next four years, SAI will work with companies, workers, and communities in Colombia and Ecuador to build up robust social performance systems that improve conditions for workers at every level of the supply chain—from industrial processing plants, to large-scale plantations, to thousands of smallholder farms. SAI and Partners will also work with stakeholders and government officials to build capacity at the local and national level. JAA will conduct an in-depth value chain analysis, positioning the industry to link improved social performance and business competitiveness. The companies’ experiences will be turned into Harvard Business School case studies, guiding future generations of business and organizational decision-makers. The overall project outcomes and tools will be disseminated in Brazil, Peru, and other key palm-producing regions. Palm oil can be found in up to half of all consumer goods and commercial food products. It is an important cooking oil around the world, cosmetic ingredient, and an increasingly important biofuel. As a widespread and versatile global commodity, palm oil production impacts millions of farmers, workers, and communities across the globe. 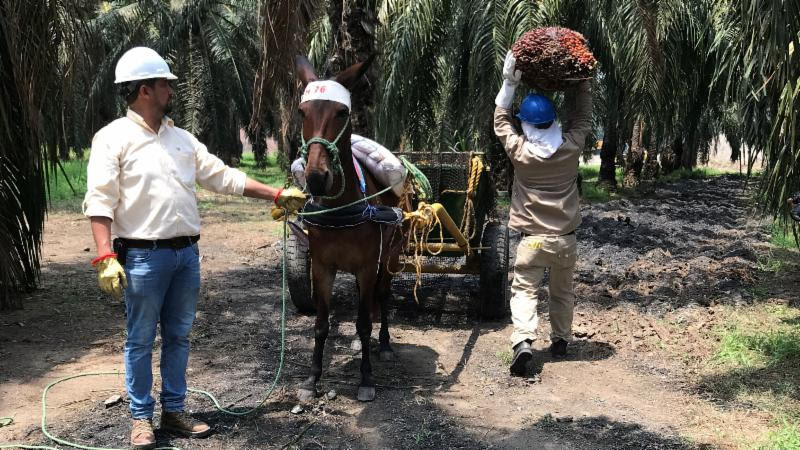 In addition to improving conditions at specific companies in Latin America, SAI and our partners seek to demonstrate through detailed market analysis that palm oil produced and processed in a socially sustainable way can be competitive in the global market. 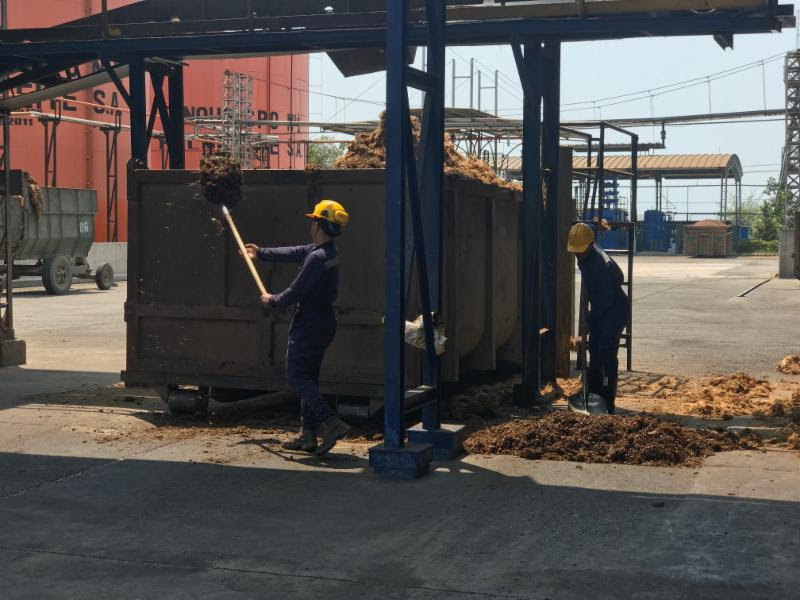 This project is an exciting opportunity to raise expectations for social performance across an important global industry and improve conditions for workers around the world. For more information, contact Stephanie Wilson, Associate Director—Innovation & Partnerships, swilson@sa-intl.org. 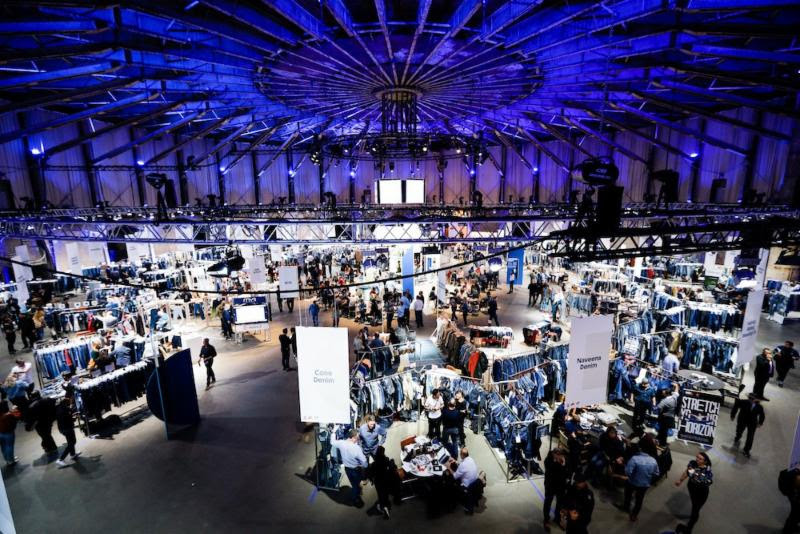 The denim-industry trade show Kingpins is integrating social performance requirements for companies exhibiting at their influential showcases around the world. Kingpins introduced the requirements—which include recognition of SAI’s SA8000® and Social Fingerprint®—at their show in Amsterdam April 10-11, and they expect that by 2020 all exhibiting mills will demonstrate compliance with an approved social performance program. These requirements are expected to have a significant impact on labor standards throughout the global denim manufacturing industry as Kingpins Shows in Europe and the USA attract buyers and brands accounting for an estimated 80% of all denim consumption. SAI Founders’ Committee member Robin Cornelius and SAI Senior Advisor Edwin Koster helped introduce the new requirements at the Amsterdam show with Kingpins founder, Andrew Olah, and the president of Worldwide Responsible Accredited Production (WRAP), Avedis Seferian. The seminar— “Does Your Denim Mill Have Any Social Standards?”—focused on how denim mills can attain standards by 2020 and what that means to brands and retailers. Read more. For more information, contact Rochelle Zaid, Senior Director—Standards & Impacts, rzaid@@sa-intl.org. 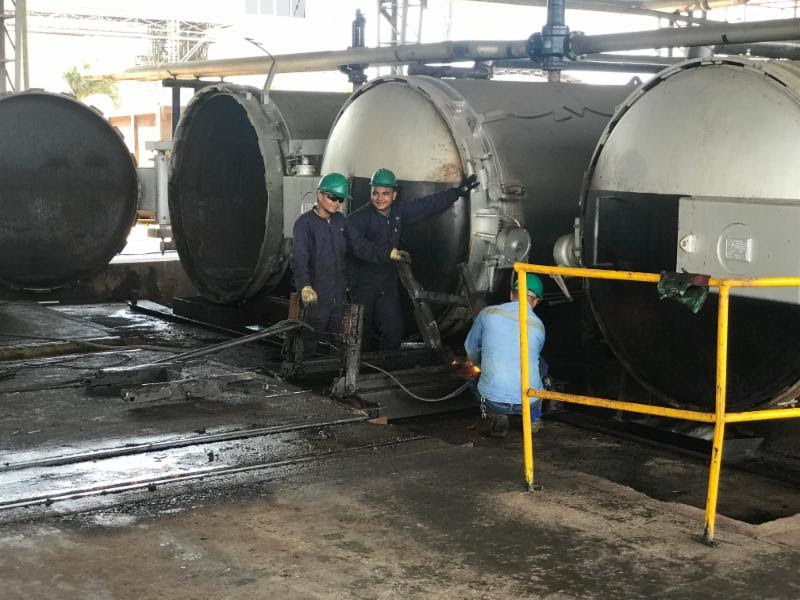 The garment, footwear, and travel goods manufacturing industry in Cambodia has skyrocketed over the past decade, bringing employment to millions of workers and significant foreign investment to the country. However, concerns about human rights for workers have been growing more and more pressing over the past several years (see our joint letter to the government from March 2018). Specifically, SAI and co-signing organizations are concerned about the many labor leaders currently facing criminal charges and convictions; the Trade Union Law of 2016 which continues to restrict establishment of unions and union activity; and the diminished role of the Arbitration Council, which continues to undercut dispute resolution in the country. Recently, EU and US officials have decided to review preferential trade agreements with Cambodia in response to these ongoing concerns, threatening Cambodian industry and workers. In response to this strong statement by several of Cambodia’s most important trading partners, we write again to urge implementation of promised changes to the minimum wage, draft dispute settlement, and trade union laws. Read the letter. Co-signers: American Apparel & Footwear Association (AAFA), amfori, European Branded Clothing Alliance (EBCA), Fair Labor Association (FLA), Fair Wear Foundation (FWF), Federation of the European Sporting Goods Industry (FESI), WFSGI‐World Federation of the Sporting Goods Industry. For more information, contact Christopher Lamoureux, Manager—Policy & Stakeholder Engagement, clamoureux@sa-intl.org. Via: The Grist – Newsletter Highlight – Earthday – SF. It’s Tuesday, April 23, and San Francisco might become first in the nation to make its big buildings green. On Earth Day, SF announced a plan to power all of its biggest commercial buildings by renewable energy in the next 11 years. Sound familiar? New York City is on a similar quest, but on a longer timeline. The Big Apple wants to cut emissions from its tall buildings — of which it has many more than The City by the Bay — by 40 percent by 2030. Slashing emissions from high rises is a step in the right direction for San Francisco, which has pledged to go carbon neutral by mid-century. The plan goes like this: By 2022, the city’s biggest buildings (the 50 skyscrapers that are 500,000 square feet and taller) would need to go green. Buildings in the next tier — between 250,000 and 499,999 square feet in size — would need to run on 100 percent renewable energy by 2024. Finally, buildings 50,000 feet and up would have until 2030 to get their acts together. Like most major cities, San Francisco’s biggest CO2 source is its transportation sector, which contributes around 46 percent of emissions. But slashing emissions from its commercial buildings, which currently produce 22 percent of its emissions, is still a big step in the right direction. And, as the San Francisco Chronicle reports, the city is ahead of its emissions-reduction goals. The Department of the Environment says it has now managed to slash emissions 36 percent below 1990 levels — 11 percent ahead of schedule. The city’s mayor and supervisors plan to introduce the big buildings proposal to the Board of Supervisors next month. A vast majority of parents — 80 percent — want their kids to learn about climate change, but the issue keeps racking up absences, says a new NPR poll. Teachers are even more supportive of teaching climate to kids (86 percent say has a place in the classroom). Those figures are in stark contrast to what’s actually happening: The same poll shows only 42 percent of teachers include climate in their curriculums, and only 45 percent of parents discuss the issue with their kids. Climate change makes rich countries richer and poor ones poorer. The economic divide between the wealthiest and most impoverished nations, in terms of per capita income, is now about 25 percent larger than it would have been if human-caused climate change wasn’t a factor, says a new studyfrom Stanford University. Rapidly warming temperatures in countries like Nigeria and India are slowing growth, but they’re having the opposite effect in chillier nations like Canada and the U.K.
A million species are on the verge of kicking the can, thanks to the tireless work of human beings. Congrats guys, we really did it: A draft U.N. study says that, in addition to exacerbating global temperatures through the wanton burning of fossil fuels, humanity is also decimating the planet’s biodiversity. Here are the winners and losers. In the name of protecting federal land, Interior cops caught a lot of weed at the southern border. “Each 2020 candidate needs to have a concrete plan to take on this challenge — and we deserve to hear those plans,” Inslee wrote. There’s a flurry of new nature docs to watch this month — are they helping the climate cause? … that today is the birthday of New Coke? In 1985, Coca-Cola announced it was changing the secret formula for Coke and creating a New Coke. The American public’s reaction to the change was poor to say the least, and Coca-Cola executives announced the return of the original formula on July 10, less than three months after New Coke’s introduction.